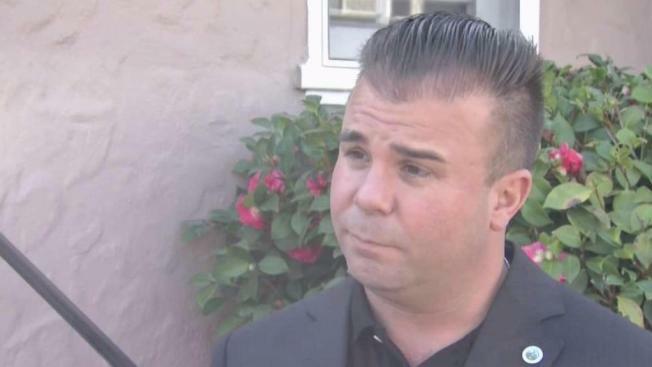 Saying he is "appalled and disappointed," the Santa Clara Unified School District superintendent confirmed Friday afternoon that teacher Dominic Caserta is on administrative leave pending the outcome of an investigation of alleged sexual harassment. Superintendent Stan Rose said in a statement that Caserta is on leave without pay, adding, "We are appalled and disappointed with these allegations. We are committed to ensuring that each allegation is thoroughly investigated. We take each and every claim seriously." At least 10 police reports have been filed against Caserta by former students and campaign staff, Santa Clara Mayor Lisa Gillmor said at the Santa Clara City Council meeting Tuesday night. Caserta, a Santa Clara High School social studies teacher, resigned Tuesday from the City Council and withdrew from the race for Santa Clara County District 4 supervisor the same day. "We are aware of our community's questions and concerns, and we take student and staff safety very seriously," Rose said. "We have been challenged to immediately and directly respond to these questions and concerns due to confidentiality and due process laws and policies which apply to all our certificated employees." Caserta has repeatedly denied all allegations of sexual harassment and inappropriate behavior to subordinates and stated in his resignation letter that he would "never do anything to harm the health and wellness of my family, my students, my school district or our city." On Wednesday, Rose announced Santa Clara High School would be implementing several efforts to educate students and staff on reporting harassment. Rose said the district will appoint a harassment task force, streamline harassment reporting processes and educate all staff, students and parents. "Santa Clara Unified School District does not condone the mistreatment of our students, past or present," the superintendent said. "We hold our employees to the highest professional standards and conduct." The efforts will begin before the district's summer break. At the beginning of the next school year, parents and students of all grade levels will receive expanded age-appropriate education programs on how to recognize and report harassment, district officials said.